Share the post "Bring Back Paper on Instagram"
It is already May! How?! So with a new month, comes a new Bring Back Paper activity, and this month it is a pretty one and an easy one for us all to get involved with. The #BringBackPaper hash tag has been around for a while now and I love seeing people using it. It celebrates those papery, often ordinary, moments in our days, in our lives. 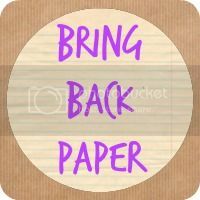 For this month, I’d really love to get the word out about it and have more and more people using it and sharing their papery snaps with our #BringBackPaper community. So it’s a chance for you to show off you stationery stash, your world of washi, the book you’re currently reading and I do adore a shelfie! Share them on Instagram and tag in #bringbackpaper, and we can all find you and spread the message. From this month, I will also be reposting my favourite #BringBackPaper snap of the week from you guys, every week. This is something that I am really looking forward to as it’s clearly an excuse to pore over papery photos each and every week (OK, like I don’t already do this! ), and it’s totally in the name of ‘blog work’. Yep, I’ll have no choice. And if you were wondering, some of you may have joined in with the #BringBackPaper photo a day Instagram challenges before, and fear not, there will be more! Yes, in the coming months they will be back, so keep them peeled for those. Instagram is a gorgeous place to see piles and piles of beautiful paper, whether they be bookshelves, planners, notebooks or plenty more besides. So let’s add to it, let’s show off our paper and inspire others to do the same and to slow things down every once in a while by picking up a book, creating a smashbook full of memories or penning a letter. You’ll find me here on Instagram, and I’ll be regularly sharing and spreading the #BringBackPaper word. It’s a fun way to join in and bring back that paper into people’s lives. Do look out later this month for posts highlighting my favourite papery Instagram accounts, too, just so gorgeous! And finally, whilst I’m going visual…. Ah, but that’s not the only way we’ll be sharing paper this month, as I’ve decided to dip my toe into the world of YouTube, in the name of a paper. And I’m a tad scared by it all, truth be told. I’m not sure why talking about things that I’d normally write down and share here is so strange and daunting, but it is. I uploaded my first Bring Back Paper video over the weekend, which I’ve popped below for you to take a peek at. Going forward, I plan to upload each Wednesday, and latest uploads will be in my sidebar there. You can ensure you don’t miss out by subscribing to my channel. 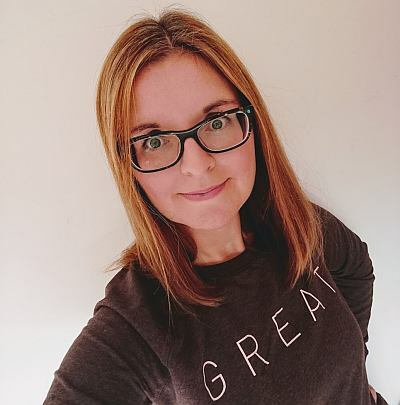 In coming weeks, I’ve plans to share what I’ve been reading, take you on a tour through my snail mail supplies, share my desk and stationery chest with you and plenty more. I’m hoping it’ll be fun! And please, please, I’d really welcome any requests so if there’s anything you’d like me talking about, sharing and showing, let me know and I’ll cover it soon for you. Wish me luck! And now I’m off to Instagram to check out your beautiful papery snaps….. I Am A Golden Eggsplorer!